The benefits of Vanuatu’s new online business registry and modernized, simplified business laws have been highlighted in a country-wide awareness-raising campaign by PSDI in partnership with the Vanuatu Financial Services Commission. 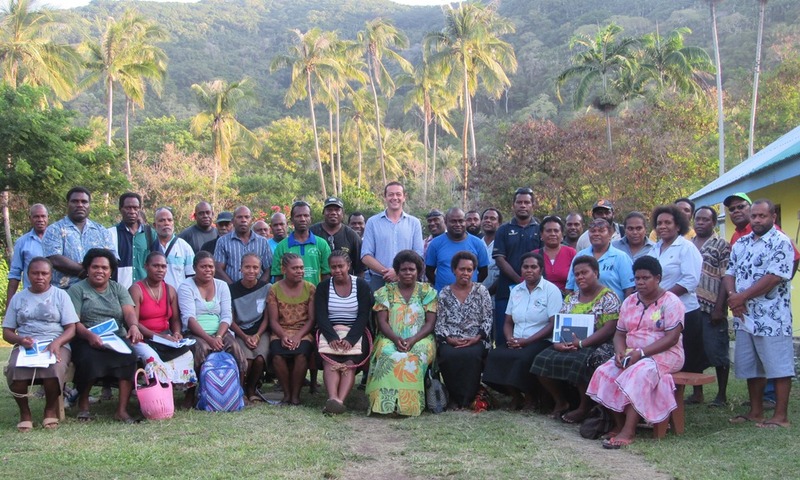 From August 2015 to June 2016, presentations on how to use the system were delivered to provincial leaders and representatives from government, business, and civil society in Lakatoro, Penama, Port Vila, Santo and Tanna. PSDI Business Law Reform Expert Aaron Levine along with staff from the Vanuatu Financial Services Commission, which manages the registry, gave the presentations in Bislama, English and French, and held discussions with participants. The registry, created last year with support from PSDI, dramatically simplifies the process of formalizing companies, small businesses, and charitable organizations. By enabling business registration, governance, and fee payments to be done online the system reduces the average time needed for company registrations from over three weeks to under three days.